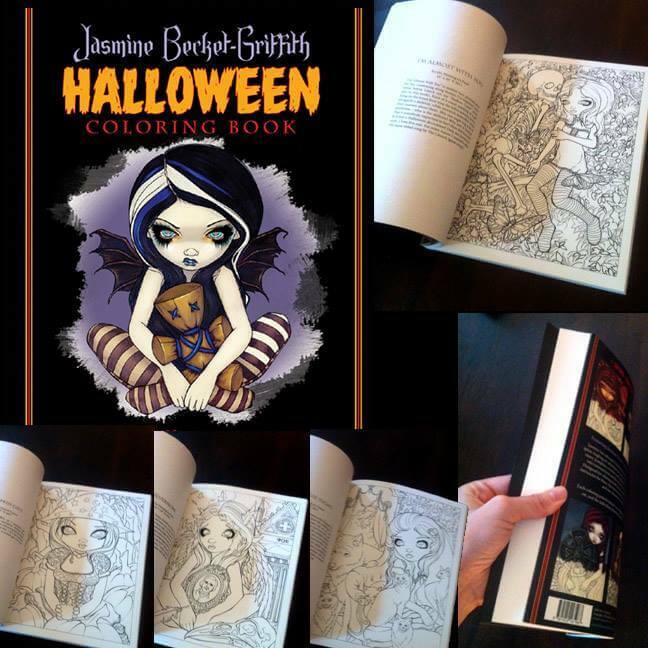 The Jasmine Becket-Griffith Halloween Coloring Book! 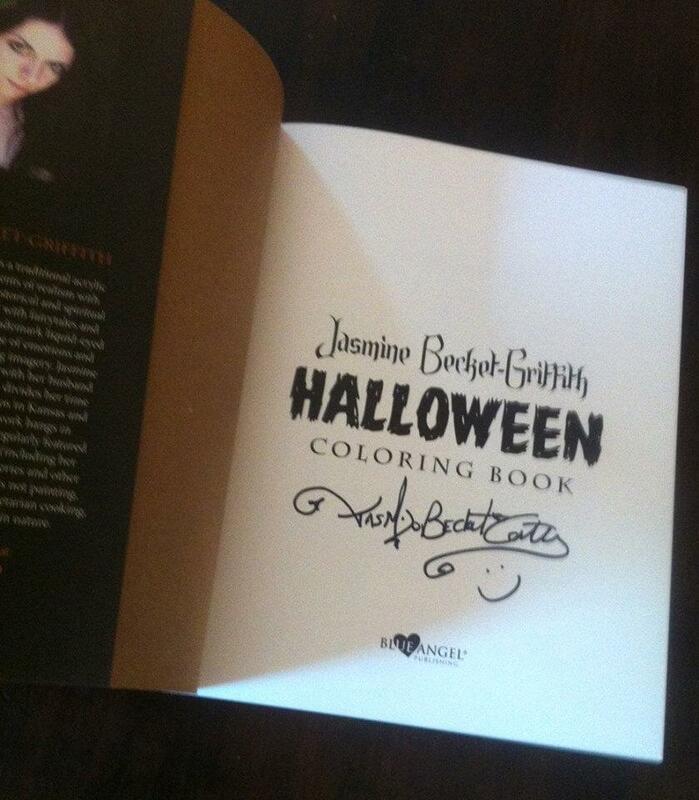 I’m so excited about my second coloring book – the HALLOWEEN COLORING BOOK! Absolutely gorgeous, same format & publishers as my first coloring book. 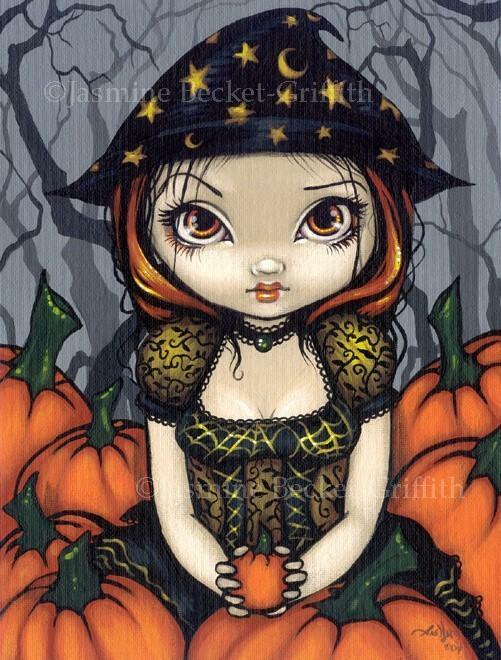 This one however is comprised of my Halloween paintings – fun & spooky! 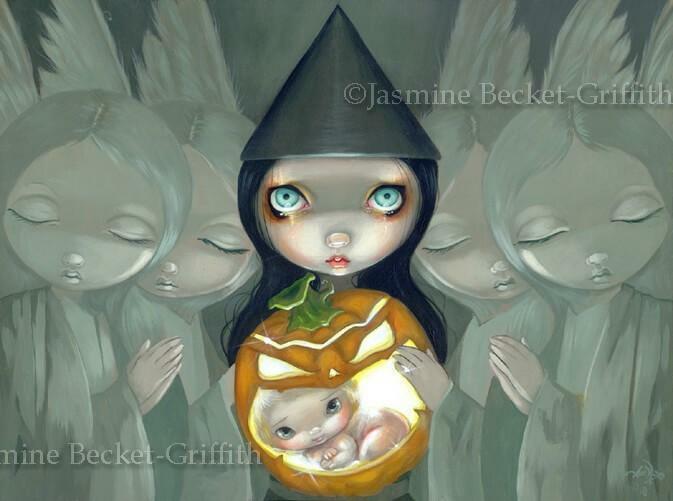 Traditional Halloween witches, pumpkins, autumn fairies, vampires, werewolves, trick-or-treating, gothic finery, candy corn, black cats & more – everything I love about the Halloween season. 96 pages thick, 55 different pictures in all. These pages are one sided with only text on the backsides, so you never have to worry about losing any images if you cut out pages, or if you want to use markers you won’t need to worry about bleed-through, etc. This is a high quality book, published by Blue Angel and distributed in the US by Llwellyn. 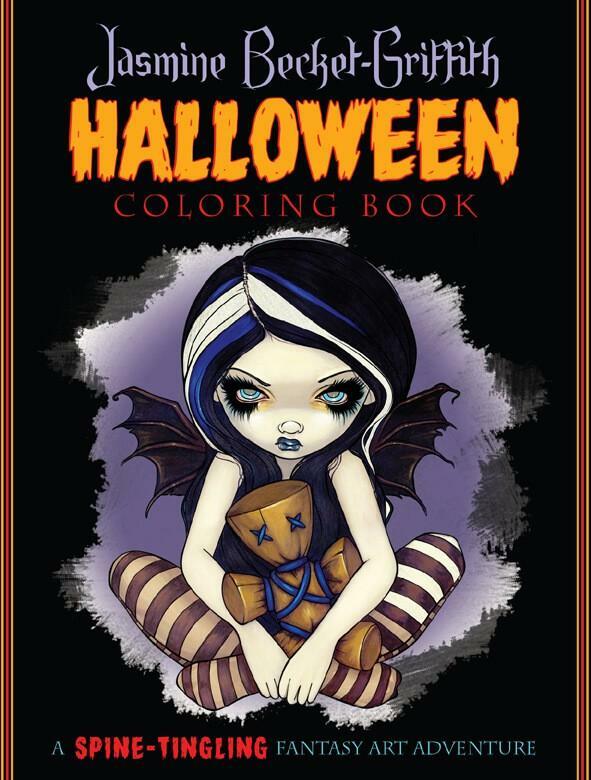 While conceived as primarily an adult coloring book, it’s not just for grownups – it is suitable for all ages. 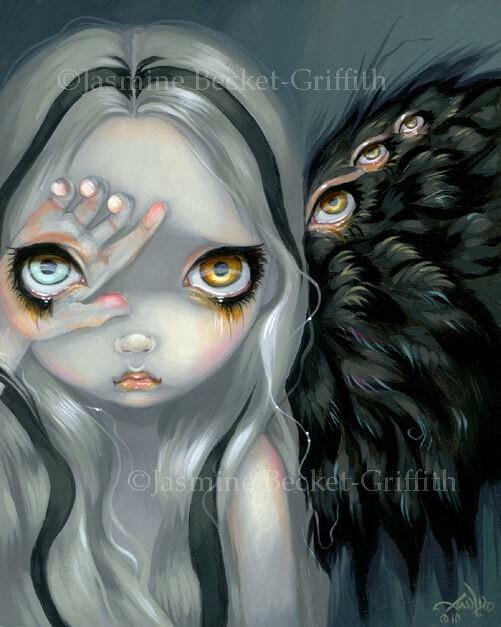 Page size is 215 x 275 mm, printed on premium quality 150gsm paper (works great with all media I’ve tried, crayons, colored pencils, markers, gel pens, etc. – you can even use watercolors, etc.). 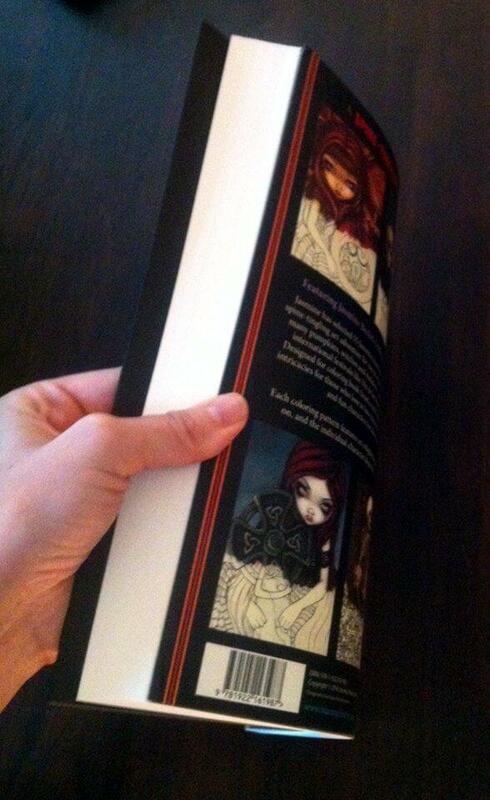 Shipping weight is estimated at 1 lb & 10 oz and the book is about 8.5″x11″. The pages are not perforated, but the book will open and lay flat easily (you can even also remove the dustjacket if you prefer, it has a sturdy plain board cover underneath the dustjacket), and the pages can be cut out pretty simply if you prefer putting your colouring pages on a clipboard, etc. The copies I am selling here at Strangeling.com have first been shipped to my home so that I can autograph each one personally (the additional stage of shipping multiple times so I can autograph them is why they cost a bit more on my website than on others). For less expensive options you can also order non-autographed copies at Amazon, BlueAngelOnline.com , Books a Million, the Book Depository (they offer free worldwide shipping there! ), Barnes and Noble, Llewellyn, etc. 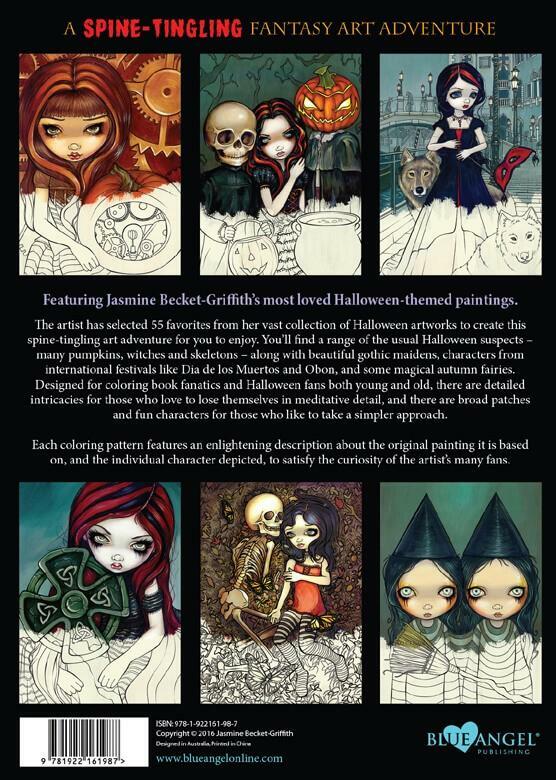 Just search for: Jasmine Becket-Griffith Halloween Coloring Book .